There are lots of jobs in the climbing industry, but most, unfortunately, are low paying. Rule out being a sponsored pro climber unless you’re the best of the elite, like Chris Sharma, Emily Harrington, or Alex Honnold. You can be a rock guide but the pay is not great and it tends to be seasonal work. You can work in a climbing shop or indoor rock gym but again, the wages are subsistence level. But don’t be discouraged. If you put your nose to the grindstone, ear to the wind, eat lots of beans, rice, and Ramen, and work hard, then you may eventually find success in the business of climbing. And don’t forget—it is a business. Forget about getting much of a foothold on the seemingly glamorous jobs, like climbing photographer, climbing writer, event organizer, sponsored climber, gear tester, and filmmaker. Those jobs take a lot of hard work, a lot of rejection, and a fair amount of business sense and networking. The best way to work in the climbing industry, especially if you have zero experience, is by working as an intern for no pay. If you do have experience, your resume of climbing routes and grades is probably going to be at the bottom. Instead you need a solid background, in fields like finance, sales, marketing, design, and education. It’s best to have a college education coupled with experience. Other jobs that utilize your vertical skills usually require experience in electronics, construction, and carpentry. For a manufacturing job with companies that make gear like Black Diamond Equipment, it is necessary to have machine and industrial experience. What Qualities Do You Need for a Climbing Job? Here are the three most common kinds of climbing industry jobs. It is best to remember that these are jobs, not careers. They can only become careers if you become an owner of a climbing industry business. Indoor climbing gyms are located all over the United States from Florida to Washington. Most require a fair number of employees to keep the doors open seven days a week. Climbing gyms need a bunch of employees to work during busy times of the day, usually evenings, and few during the rest of the day; so most jobs are part-time, usually from 10 to 20 hours a week. If you have basic climbing knowledge and are personable then you can probably get a front desk job. This is basic work—sitting behind a desk, selling memberships, checking members in, and answering the phone. Other workers do safety checks, enforce safety rules for belaying and lowering, climbing instruction, and stripping holds off the wall. More experienced employees usually do the routesetting, creating new routes. Most of these jobs pay minimum wage with no benefits. Do the math—it’s pretty much impossible to survive on a gym rat’s wages. A climbing guide is one of the glam jobs, not. Actually it’s hard work to be a guide. 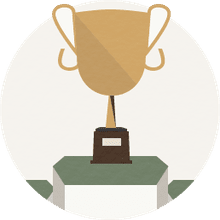 If you go the AMGA (American Mountain Guides Association) route then you will spend a lot of time and money to earn certifications that allow you to run toprope and single-pitch climbing venues or advanced climbing courses. Many guide services, however, don’t require certifications. Requirements to be a successful climbing guide are a broad base of climbing knowledge and experience, ability to always keep clients safe, ability to make sound safety decisions, first aid training like Wilderness First Responder certification, and great people skills. Remember that this is a people business. Your clients’ fun and safety are always your number one priority. 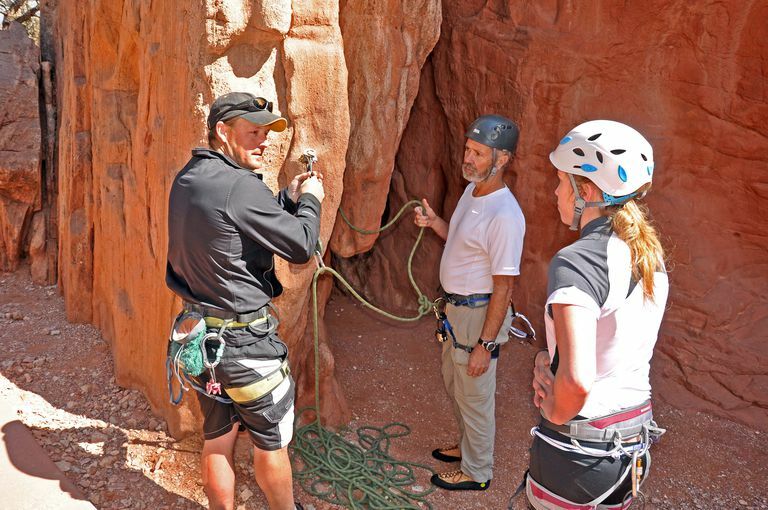 Guide services run two basic kinds of climbing trips: the “carnival ride” for clients who want to go home to Texas and say they went rock climbing, and the educational trip that actually teaches climbing and safety skills. Many climbers work as salespeople at retail stores that sell climbing, clothing, and outdoor gear. Most cities have at least one independently-owned outdoor equipment store as well as the big retailers like REI and EMS. The sales staff is often a collection of part-time employees who work for minimum wage and discounts on climbing gear. Most retail sales jobs have a pay ceiling and limited opportunities for advancement. The best way to earn more than marginal wages is to transition into a retail management job but you will usually need other skills besides sales to continue upward. It’s best to work at your local climbing shop for a year or two to earn some cash, increase the size of your rack, and pad your resume, then move on to other better opportunities.